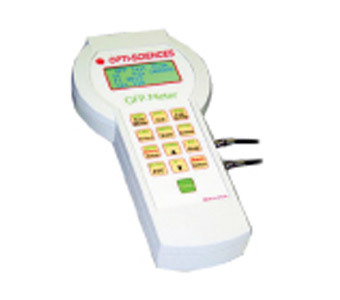 A general purpose modulated probe fluorometer for a wide variety of measurements. 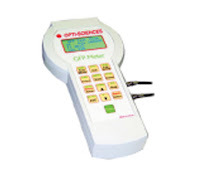 The GFP-Meter is available with a choice of filter sets to fit a wide variety of fluorescence requirements including popular selections such as Chlorophyll, Rhodamine, Fluorescein, and Green Fluorescent Protein. This is a hand-held, field portable instrument with on-board data logging capable of non-destructive measurement of Green Fluorescent Protien.